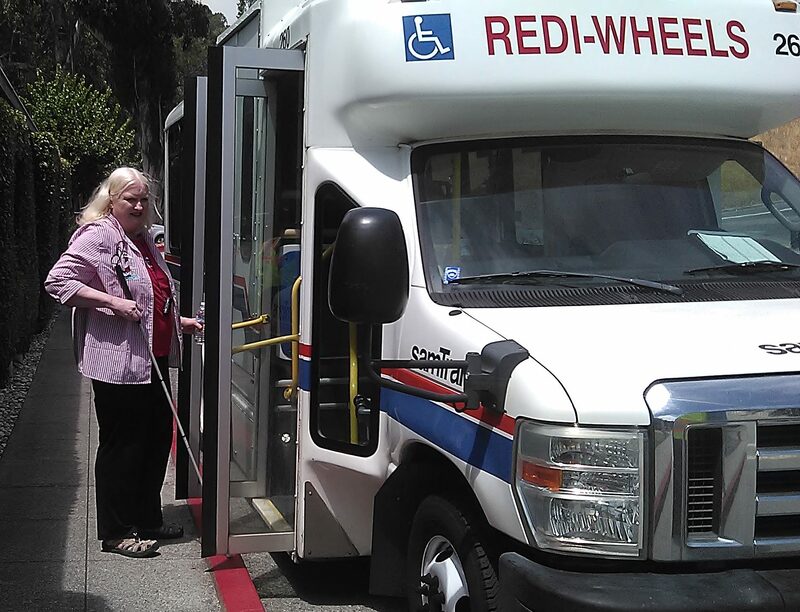 The PCC Consumer Corps consists of anonymous Redi-Wheels and RediCoast paratransit service riders who report on service quality, telephone wait time, on-time performance, and other issues. Since the program began in 1996, members of the Consumer Corps have made a difference by providing the PCC with important data that is recorded and presented to the SamTrans Board of Directors on a quarterly basis. Objective about rides from the operator's and rider's points of view. Capable of working independently or with a caregiver to fill out forms. Comfortable about sharing ideas and easy to work with. Willing to make a commitment for at least three months. Members fill out a checklist each time they ride with information about pick-up times, ride times, trip availability, and telephone availability. One form is used for each segment of travel. PCC staff compute statistics from the completed forms and present the information in a quarterly report to the SamTrans Board of Directors. Members can use a paper checklist or an e-mail checklist. If you use the paper checklist, the PCC will provide self-addressed, stamped envelopes for your convenience. As a thank you, Consumer Corps members get a free 10-Ride Redi-Wheels ticket booklet for each calendar quarter in which they submit at least eight Consumer Corps forms. Membership in the Consumer Corps is confidential. If you think you might be interested in participating, if you know of someone else who would be interested, or if you have any questions, please call PCC Staff at 650-299-1442 or send e-mail to sanmateo2@gmail.com.